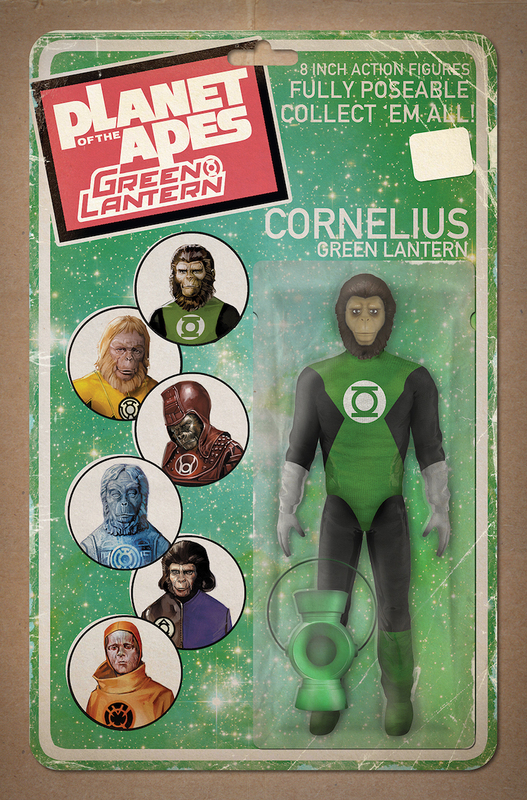 New Details for Planet of the Apes/ Green Lantern Mini-series! 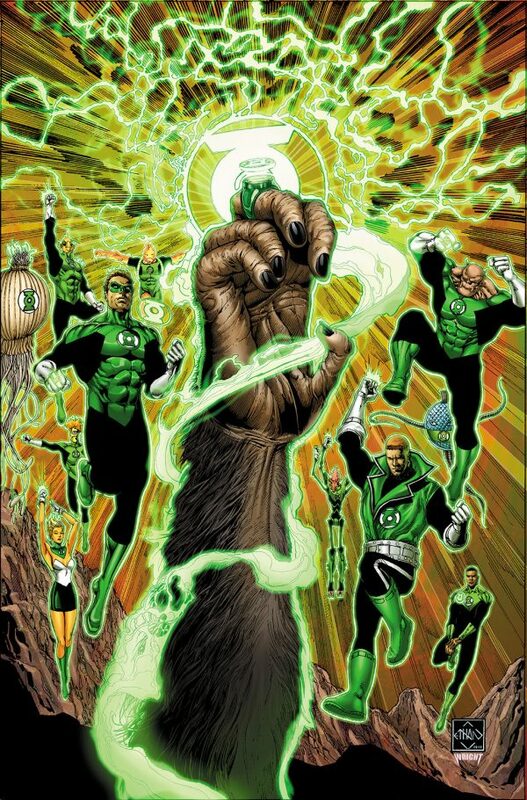 We passed on writing the story of DC Comics and BOOM Studios’ crossover miniseries Planet of the Apes/ Green Lantern but now lets take a look at this interesting crossover now that we’ve got more to talk about. Planet of the Apes / Green Lantern will be written by Justin Jordan and Robbie Thompson with art by Barnaby Bagenda and will be hitting LCS starting February 2017. 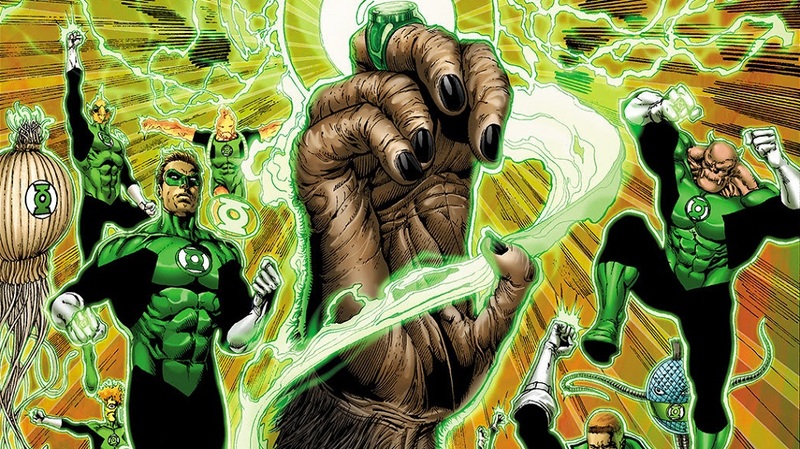 The book will also feature covers by famed Green Lantern artist Ethan Van Sciver. There’s also another cover featuring the main characters from the Boom Studios’ current volume of Planet of the Apes in various Lantern Corps. 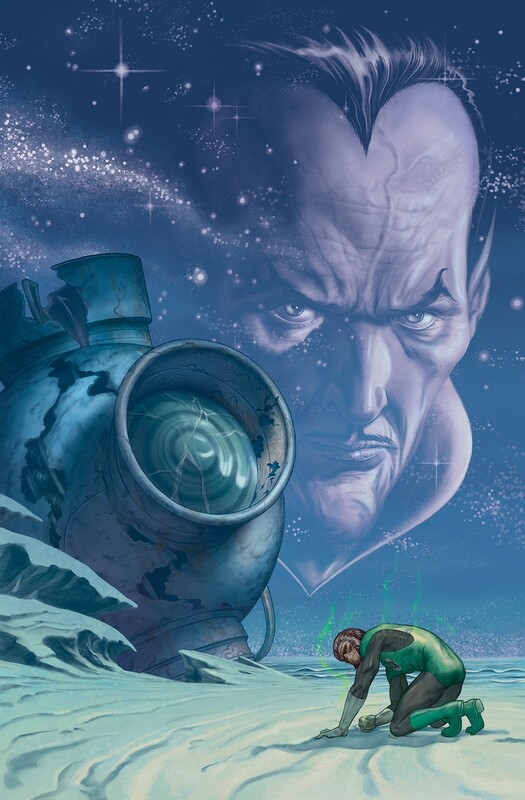 A third cover is a homage to the imagery from the original Charleton Heston “Planet of the Apes” movie replacing Taylor and the Statue of Liberty with a broken GL central batter and a destitute Hal Jordan Cornelius with Sinestro and his huge (we literally mean huge) head. Here’s the solicit for the issue which again will be released February 2017. Netflix The Punisher Season 2 Announced!